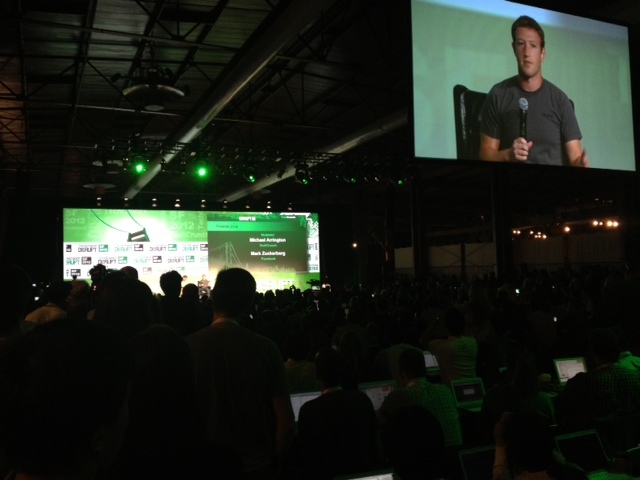 Some Photos of Disrupt 2012, SF – where Zuckerberg made an appearance to speak. It was interesting, I learned a lot, most notably about the media news cycle but also (i think) about some of the in-the-room vibe of one M. Zuckerberg. Here is a person who could of cashed out many years ago. Empirically, 1 B$ is worth less to him and doesn’t make him tick as much as influence/legacy on tech/people’s perceptions. I’ll write more later, but here were the views from San Francisco. 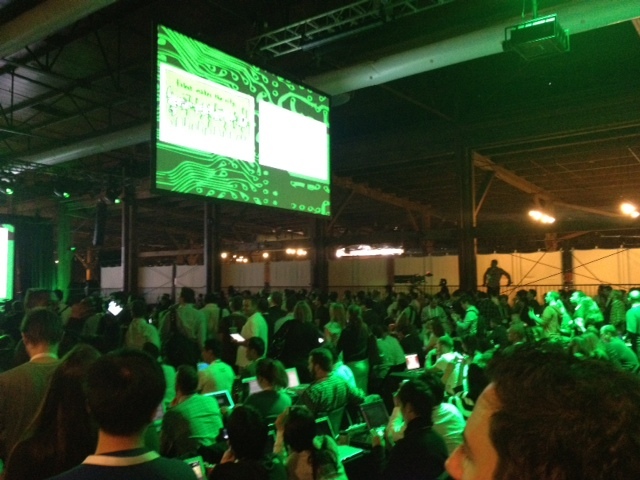 The Warm Green-LCD glow of 10,000 laptops in 1 audience.